Dale Robley admits he was smitten. “As soon as I saw the car, I knew I was going to buy it,” he says. 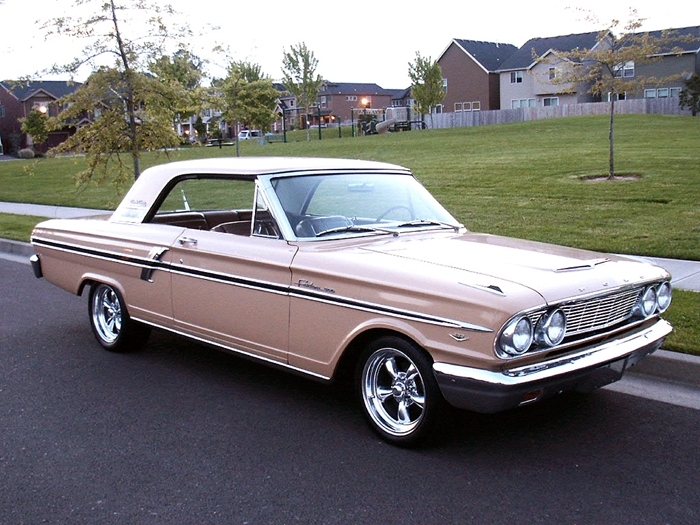 He had already let one 1964 Ford Fairlane Sports Coupe slip through his hands, and it wasn’t going to happen again. 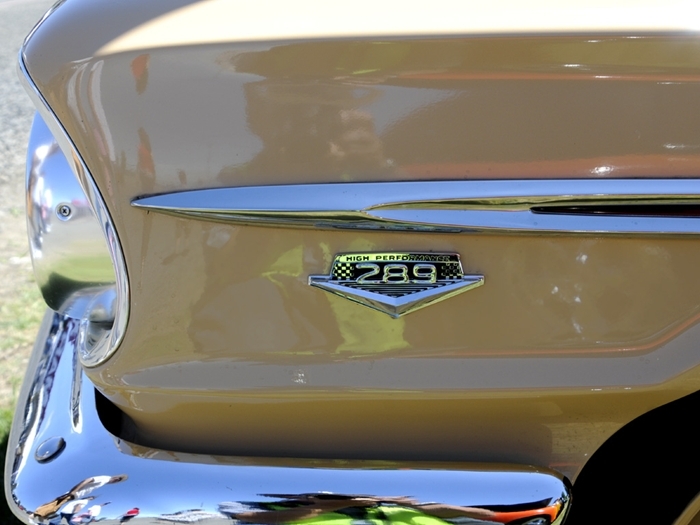 And this one was the collector car of legends. 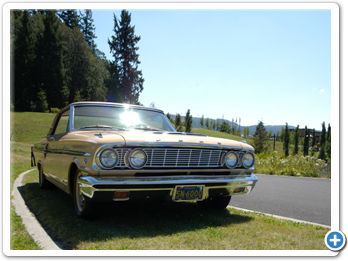 It had been driven by the little old lady from...um, Estacada. And the Oregon woman was almost obsessive about taking care of her car. Robley says the car was built in January 1964 and was given to Margaret Smith by her husband, two months later. It wasn’t what one might consider a typical car for a lady. 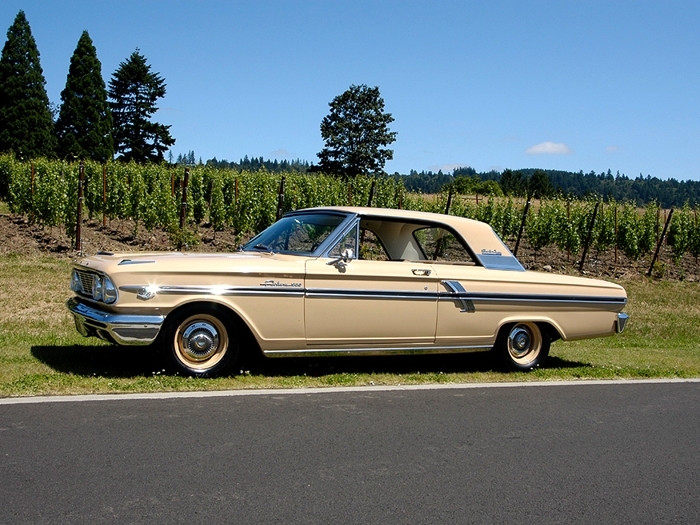 A sporty two-door hardtop, it was moved by a high performance 289 cubic inch V-8 mated to a four-on-the-floor gearbox. Consider that when Mrs. Smith stopped rowing her own gears, she was 81 years old. 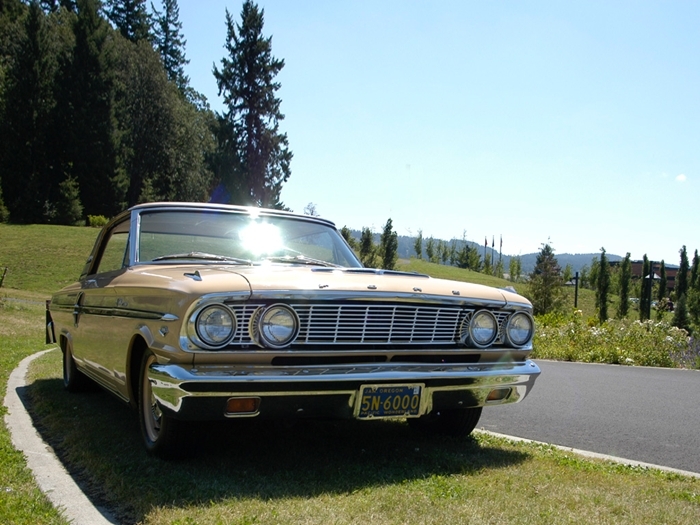 Care of the car was then entrusted to her offspring, who retained the Ford for a few more years, storing it in the dry climate of Eastern Washington state, and exercising it only rarely. “Other than the door, which apparently was damaged in a parking lot, all the paint is original. The trim’s never been off,” Robley says. 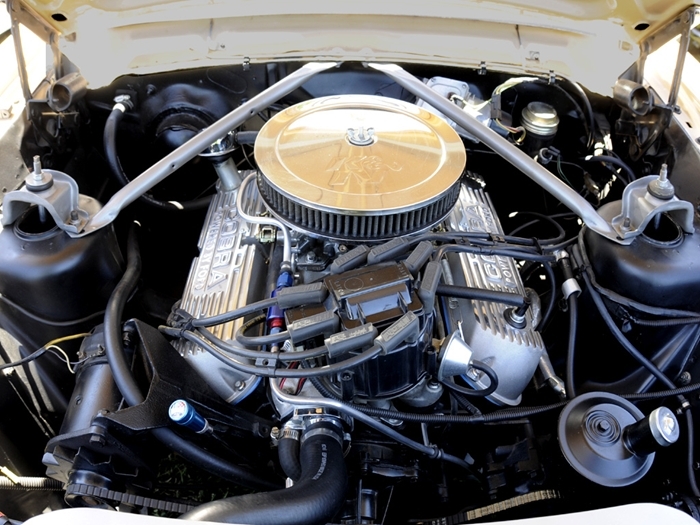 The Ford eventually was sold to Larry Jordan of Longview, Wash., who pulled and freshened the engine, using some era-correct high performance parts from Edelbrock, went through the suspension and added chrome wheels and larger tires. 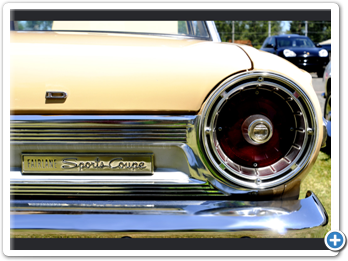 The Fairlane ended up at the Portland, Oregon swap meet in 2007, where it caught Robley’s eye. A few years earlier he found a white Sports Coupe at the same swap meet, but ended up waiting too long to make a purchase offer. “I’ve always regretted that,” he says. He even likes the Prairie Tan paint, the color of ripe wheat still standing in the field. 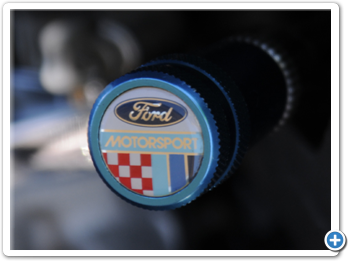 Once Robley got the car in his shop, he dropped the Ford 3.5 inches in the front and 2 inches in the rear. He added swaybars and had steel wheels cut and widened for a more conservative look. It now sits with a more aggressive stance, on rubber more fitting its performance. 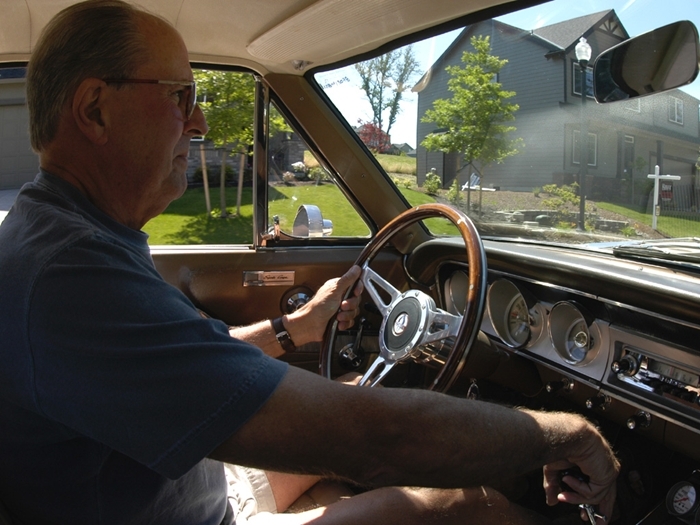 He says Ford made about 4000,000 Fairlanes, but that the configuration of his car is very rare. 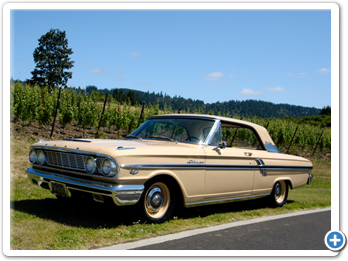 The body style -with subtle changes -goes back to 1962 when Ford introduced the Fairlane as America’s first mid-sized car. The original price was around $2,700. “None of the other manufacturers had anything to compete with it,” he says. 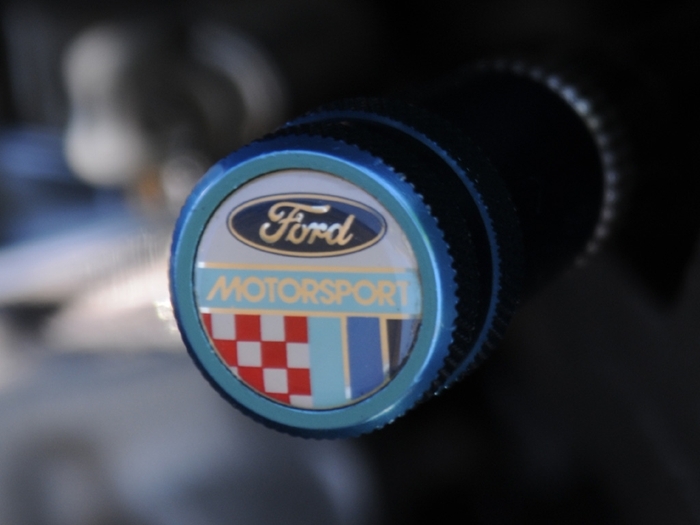 They originally were offered with a six cylinder and a Canadian-built V-8. 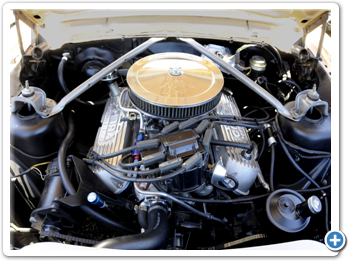 On the outrageous end of the line was the competition-bred Thunderbolt, with the mighty 427 stuffed between the frame rails. 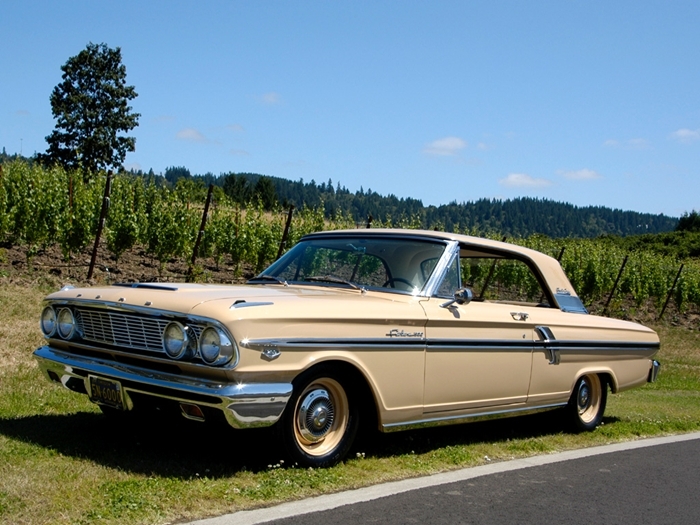 Only about 100 of the Thunderbolts were built by Ford, but more than a couple of standard Fairlanes were converted (some jobs were better than others) to the big-block configuration. Robley fires up the V-8 and backs the Fairlane out of his garage. The rumble of the barely-muffled Ford draws glances and nods of appreciation from a group of golfers across the street. Inside the car, the chassis vibrates with each throb of the engine until things warm up and the engine settles down to a deep bass. The car has just under 110,000 miles on it, but with a new engine and chassis improvements, it rides with solid authority. He shifts quickly, yet smoothly, never over working the car. Speaking of lasting a long time, the Fairlane was among the centerpieces at Margaret Smith’s 100th birthday party in the community where she grew up and lived. 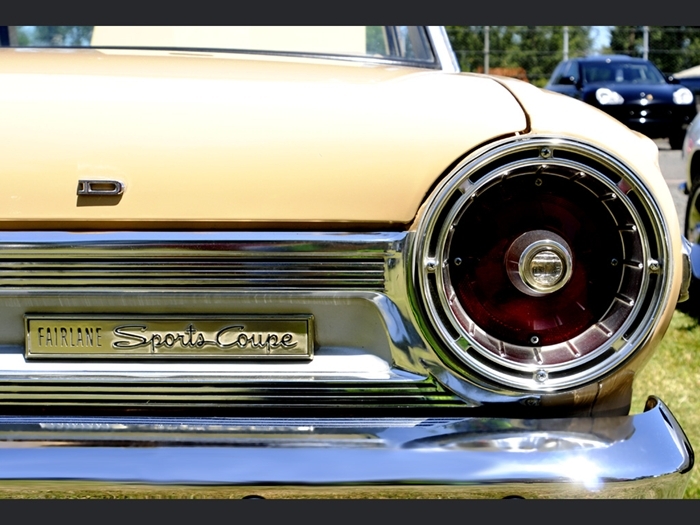 The Fairlane was introduced in 1955 as the highest priced and most luxurious car in the Ford range. 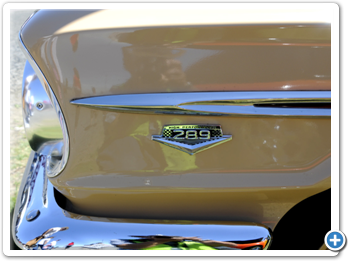 In 1962 the Fairlane was the model that introduced the classic small-block V8 and on which the 427 Thunderbolt drag racer was based. 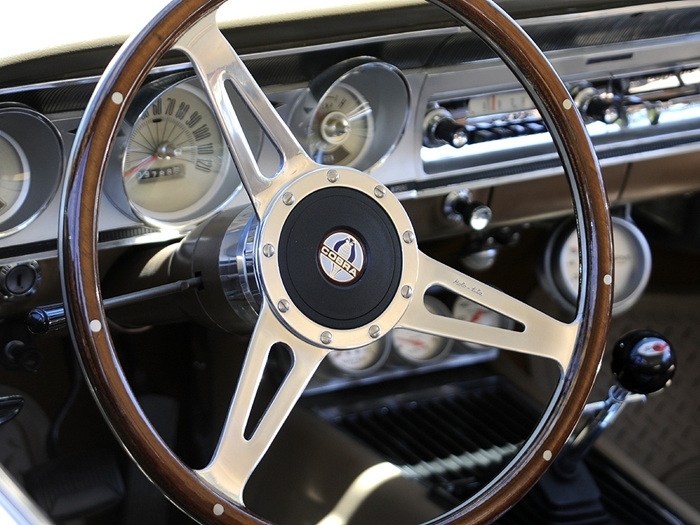 From then on the Fairlane line always featured performance models until 1970 when it succumbed to the drive towards cleaner, leaner and safer cars. This is a book of contemporary road and comparison tests, specification and technical data, model introductions, driver’s impressions and consumer analysis. Models covered include: Crown Victoria 272, 223, 292, 312, 332, 352, Fairlane 500, 390, Sports Coupe, Station Wagon, GTA, Pick-up, Custom, Cobra, Cobra Jet, 351. 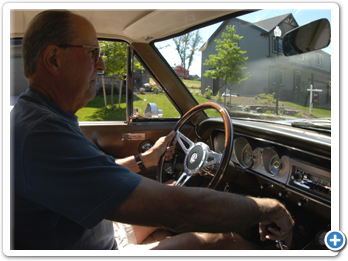 Covers complete basic vehicle: interior and exterior lights, engine compartment, under dash, etc. Colors are the same as what is in your car. All text is crystal clear and easy to read. The diagram is laminated in rigid plastic for years of use. 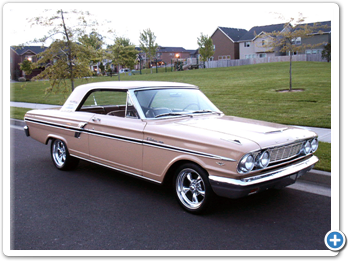 This is a factory-authorized reproduction of the 1964 Ford Fairlane glovebox manual. It measures 9 inches by 4 inches and is approximately 64 pages. 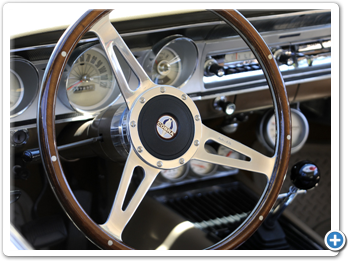 These are the white face overlays for a 1964 Ford gauges (not the gauge cluster assembly itself). They are computer printed and cut on vinyl plastic for an easy to install process with perfect fit. Needle removal is not required at except for the clock; the white gauges easily slip over the needles. Stock faces are not removed; the overlays go on top of the original faces. 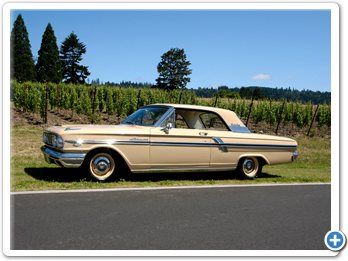 This is a factory-authorized reproduction of a Ford Fairlane Shop Service Repair Manual. It covers the body, chassis, and electrical, and includes wiring diagrams. It is approximately 659 pages.